2019 is going to be a big year for AMD; it is hard to deny that at this point. Thanks to their early use of 7nm lithography and their next-generation Zen 2 architecture consumers should expect a huge generational leap from the company, both in terms of performance and power efficiency. While we don't know how much performance AMD's Zen 2 processors will have on tap, we do know that in the case of Threadripper, the company's new chiplet design will be transformative for the TR4 platform. In essence, TR4's memory structure will be significantly simplified with Zen 2/3rd Generation Threadripper, a move which will likely tackle many of the performance downsides that some applications have with the platform. Enough about Threadripper! Let's talk about EK, who have already started to pave the way towards 3rd Generation Threadripper by releasing their 3rd Generation TR4 water block, which ships with an improved fin structure and a design that matches the rest of EK's modern Velocity water block lineup. 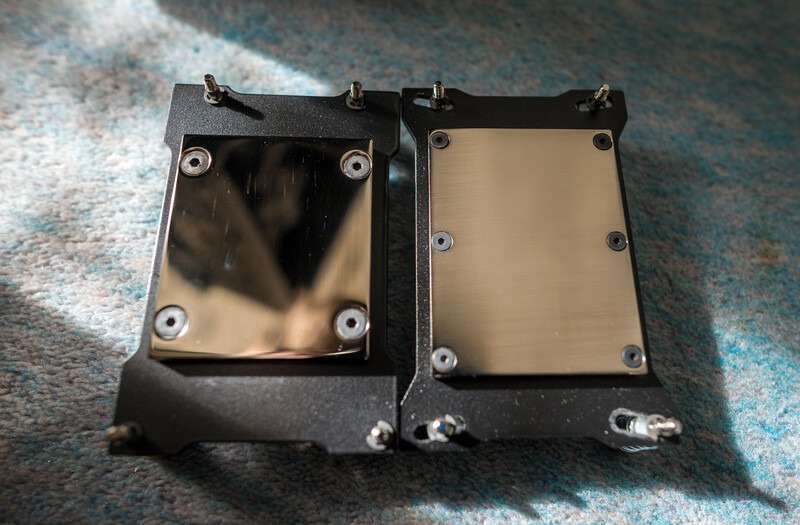 With their new water block, EK offers a fin structure that covers Threadripper's entire multi-die CPU layout and offers 91 micro-fins to enable superb heat transfer levels. 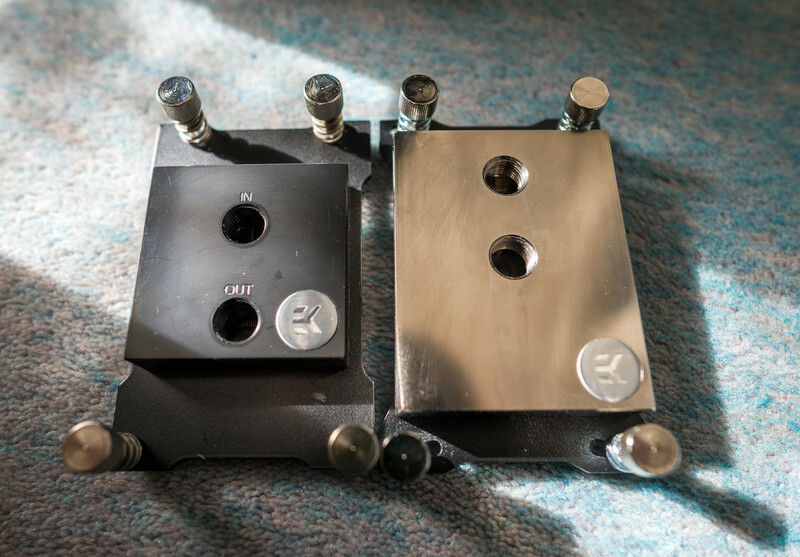 As the image above illustrates, EK's new Velocity sTR4 water block will be available in three forms, Nickel+Plexi, Nickel+Acetal and Full Nickel, though the Plexi/Acetal versions will be available both with and without RGB lighting options. The Full Nickel version also features LED illumination, but it lacks a non-RGB purchasing option. EK's new Velocity series TR4 water blocks will be produced in Slovenia and are now available for purchase, starting at €99.90 for the non-RGB versions, €109.90 for the Plexi/Acetal RGB versions and €129.90 for the Full Nickel version. You can join the discussion on EK's 3rd Generation Velocity series TR4/Threadripper water block on the OC3D Forums. Technically, this will be their fourth block. I've got both a first gen and 3rd gen block. There was a very big pronounced difference between them. Gotta love how completely unoriginal EK are. It took them this long to come with a design alternative to a bloody SQUARE, and all they did was shave the corners, LOL! Looks to me like the inside is milled differently too. Looks nothing like mine on the interior. Seems they extended the blocks and made a recess for the standoffs too. Clear one looks a bit.. bleh but I like the nickel plate. Have yet to come across a build which is completely done from head to toe with that kind of theme. I find EK very hit and miss. Some stuff I like, some stuff I'd never buy again. I've always found them priced a bit high for the quality level too. This CPU block doesn't look bad (bashing aside), but Watercoools HeatKiller blocks are my personal preference. WAY higher quality, and better prices, at least for me here in Canada.